Mold is a fungus that grows in multi-cellular (often tubular shaped) filaments resulting in discoloration and sometimes a fuzzy appearance on whatever it grows on. Molds cause biodegradation of natural materials. Mold also plays an important role in biotechnology and food science in the production of various foods, beverages, antibiotics and pharmaceutical products. 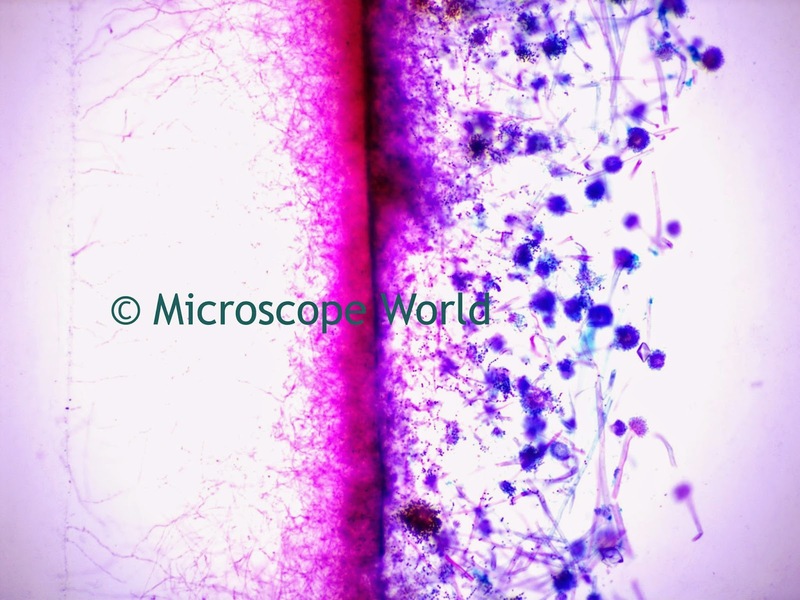 100x magnification - mold captured under the U2 microscope. There are thousands of kinds of mold. The ones shown here are Aspergillus. This specific prepared slide is available to view under the microscope in the Botany Prepared Slide Kit. 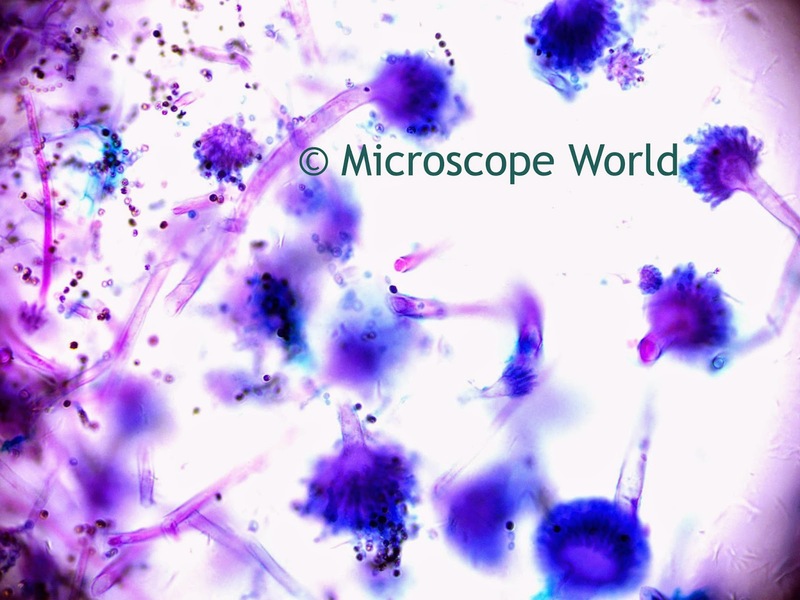 400x magnification - mold captured under the U2 LCD digital microscope. Images were captured using the Richter Optica U2 biological microscope with the DCM5.1 5mp microscope camera and the Richter Optica U2 LCD digital tablet camera microscope. 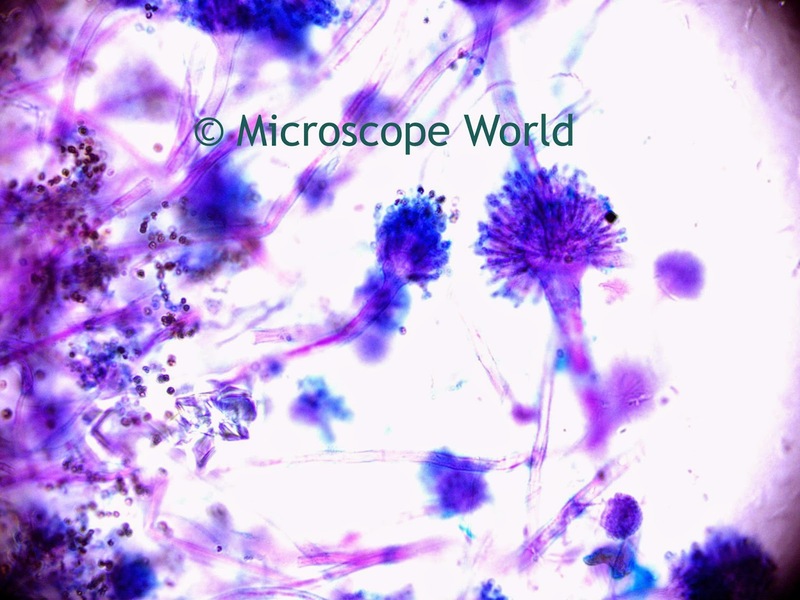 400x magnification - Aspergillus (mold) under the microscope.